The number of active Australians has reached a 10-year high, with almost half a million taking up exercise in the past year, according to new data from Medibank. According to the Medibank Better Health Index, 9.7 million Australians are now physically active, up from 9.2 million one year ago. This is a sharp rise in just 12 months and takes the increase over the past decade to 2.6 million. The Index, developed by Roy Morgan Research, has surveyed 50,000 Australian adults aged 18 and over each year since 2007. Medibank has released the findings on the 12-month anniversary of its Free + Active program that aims to support Australians to be more active. According to Medibank data, the last 12 months have also seen an increase in national exercise expenditure, rising from $7.1 billion to $7.7 billion. The average person is now spending $504 on exercise annually - up from $473 in 2017. “These findings reveal that as a nation, we’re showing signs of prioritising our physical health. However, despite these efforts, it is important to bear in mind that almost one in two Australians remain inactive, showing we still have a way to go if we’re going to combat inactivity en masse,” said Medibank chief medical officer Dr Linda Swan. The Index found motivation remains the biggest barrier (57 per cent) to exercise, followed by the high cost of certain exercise programs (37 per cent), and not having anyone to exercise with (31 per cent). 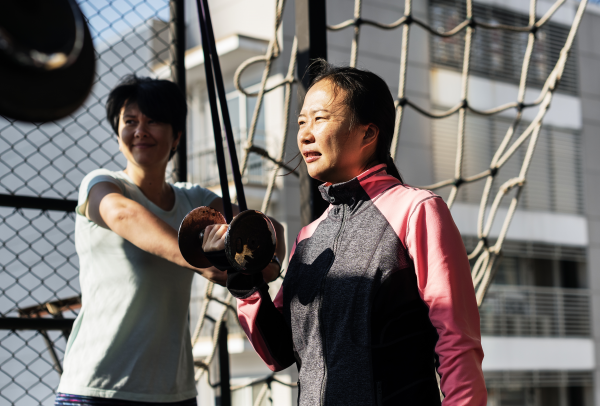 Additionally, while 84 per cent agree they feel better both physically and mentally when they exercise, 38 per cent admit they struggle to get started.